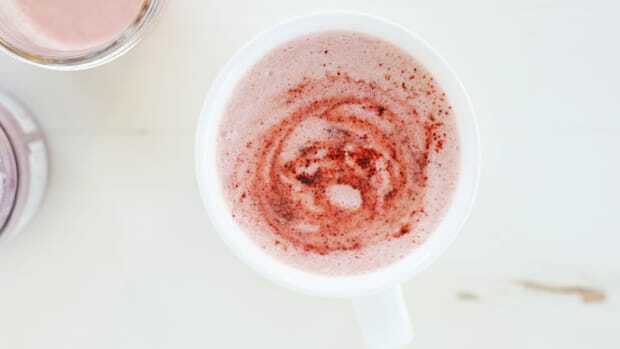 Step aside traditional coffee latte, there’s a new elixir in town. 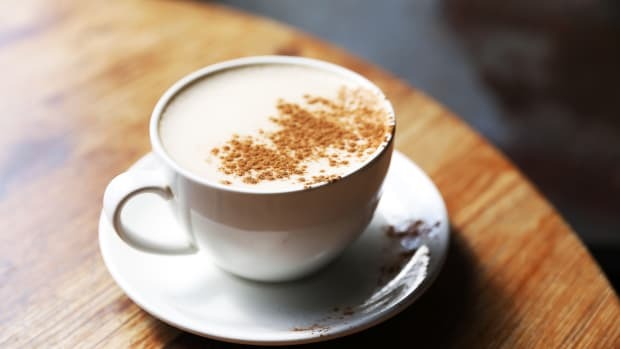 This turmeric latte, made with a few simple whole food ingredients will have you feeling energized and nourished, thanks to its star ingredient: the yellow-hued beauty and healing food, turmeric. 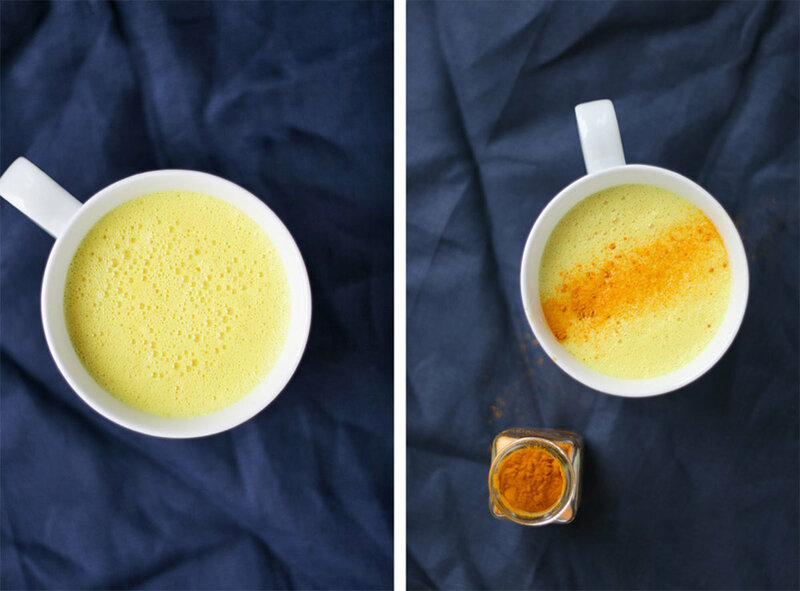 Turmeric tonics are nothing new--2016 may just have been the year of this super root herb. Turmeric has been found in everything from teas and fresh juices, to baked goods, superfood bars, and more. 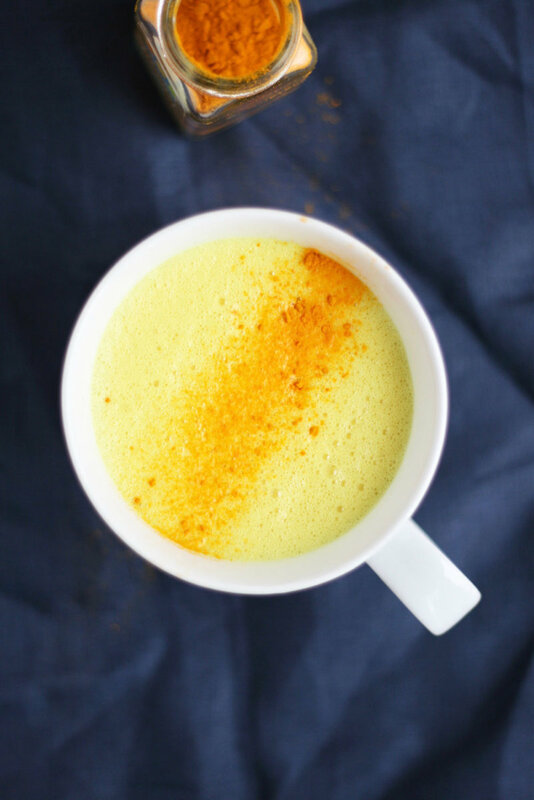 This turmeric latte showcases all the best flavors (and healing properties!) 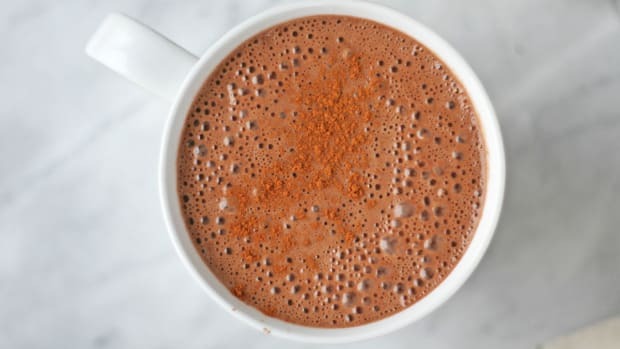 of the root in an easy-to-make super warming tonic. Turmeric is an herb that comes from the root of the curcuma longa plant. Turmeric is most commonly recognized by its vibrant, bright orange color, but has skin similar to its relative, ginger. In fact, the two look quite similar on the outside. It’s only when you cut into fresh turmeric when its brilliant orange flesh is exposed. This root possesses a warm, peppery, and bitter flavor and is commonly boiled, cleaned, sun-dried, polished, and ground into a fine powder for use. 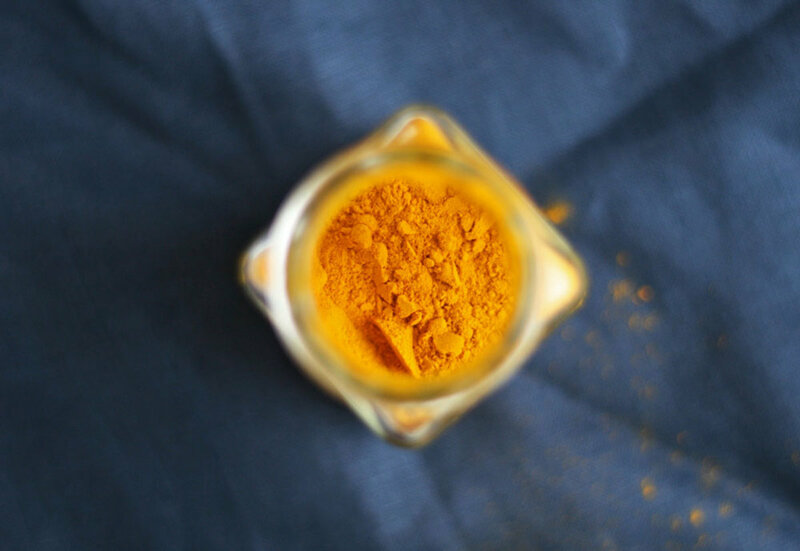 Native to Indonesia and southern India, turmeric has long been used medicinally, nutritionally, and as a natural fabric dye (so cool!) for thousands of years. It has been cultivated and harvested since 3000 BCE. Turmeric root is commonly used in Ayurvedic medicine, a system of medicine that originated in India thousands of years ago. Due to its warming qualities, turmeric supports blood circulation, tones the spleen and liver, and helps the lungs expel Kapha. Turmeric is also thought to detoxify the liver, balance cholesterol levels, fight allergies, stimulate digestion, boost immunity, and enhance complexion in Ayurvedic medicine. 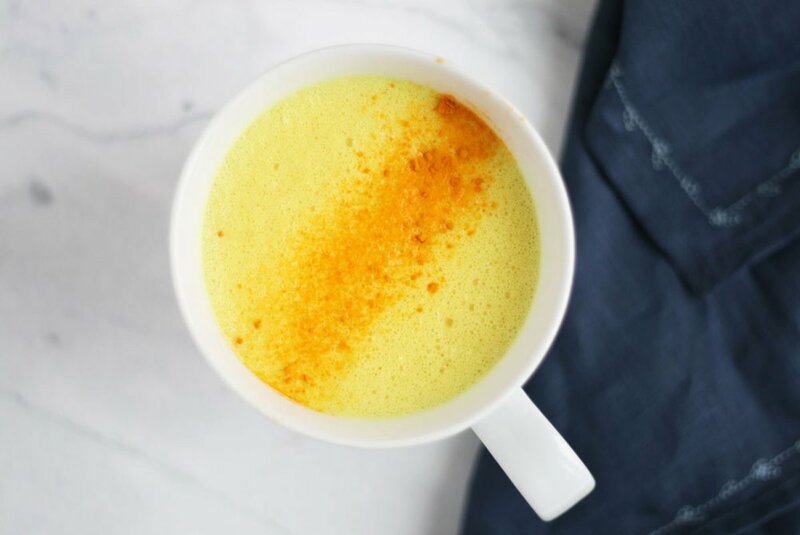 The incredible benefits of turmeric give this root bona fide superfood status. Turmeric consumption in modern diets has been linked to a variety of health benefits, thanks to its powerful compound, curcumin. 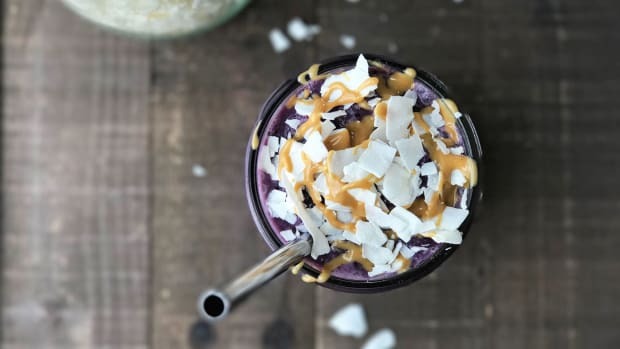 Studies have shown that a gram of turmeric daily can help improve the memory of individuals in the early stages of diabetes and at risk for cognitive damage. 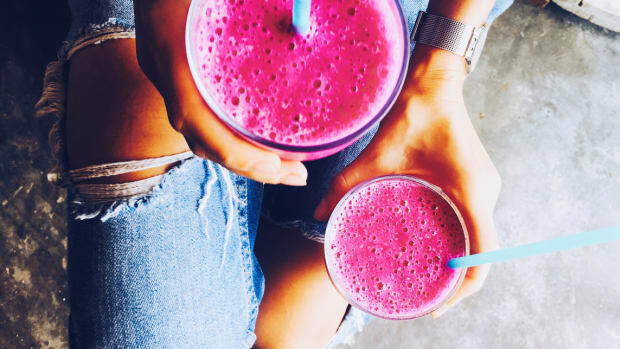 It’s also filled with a variety of antioxidants that help to reduce free radical damage to cells and tissues. Turmeric and curcumin are thought to improve rheumatoid arthritis as well as numerous other inflammatory joint conditions, improve liver function, inhibit and prevent certain types of cancer, including pancreatic and colon cancer, and improve the degenerative symptoms associated with Alzheimer’s disease. 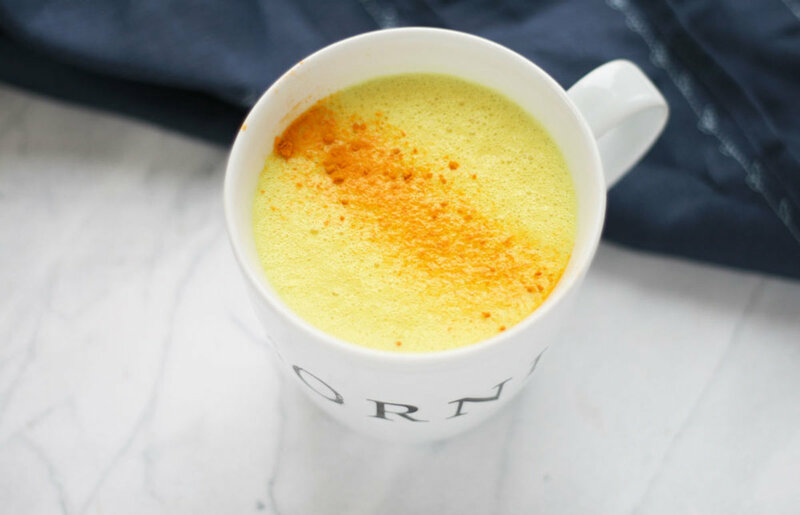 Along with antioxidant and anti-inflammatory properties, turmeric is also a source of a variety of vitamins and minerals including manganese, iron, potassium, magnesium, phosphorus, zinc, copper, calcium, B vitamins, and vitamin C, E, and K.
In this turmeric latte, earthy turmeric is mixed with creamy almond and coconut milks, coconut oil, maple syrup, vanilla, and ginger. Don’t skip the addition of black pepper and sea salt. The pepper makes turmeric’s superstar compound curcumin more bioactive, while sea salt brings all the flavors together. Just a pinch is all you need! Combine all ingredients in a small saucepan and gently warm while stirring with a spoon to combine. 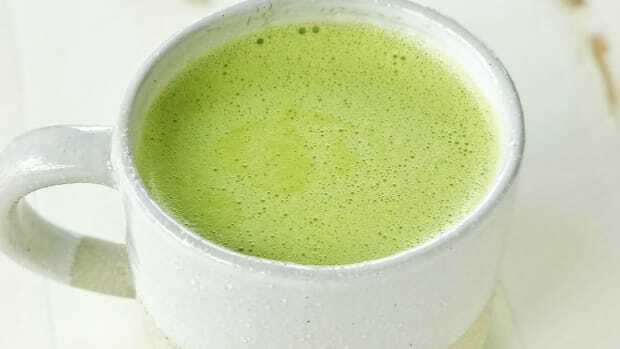 Carefully transfer hot liquid into a high-speed blender. Blend mixture on high for about 30 seconds, until frothy. 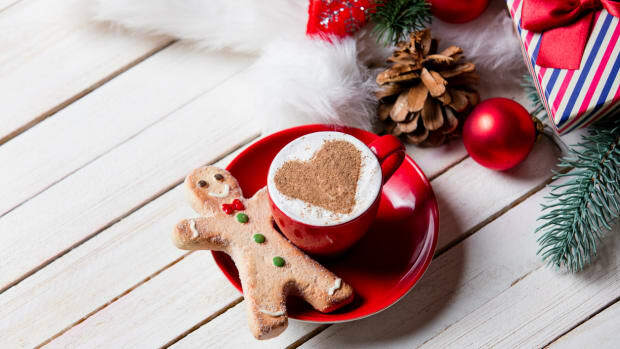 Serve hot and drink immediately. 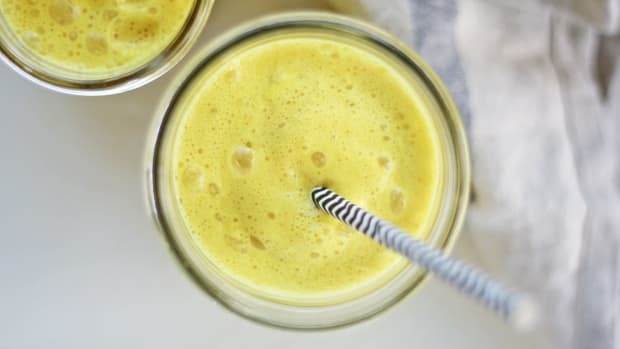 Note – rinse your blender ASAP too, so you don’t stain it turmeric hued!